It’s been a very busy month for me and CCAC. First I flew to Washington State for their Association’s annual conference, joining the presidents of Alaska and Oregon and your Region IX Director’s at the Semiahmoo Resort just south of the Canadian border. One of the few (and I mean few) benefits of serving as President is that I get to meet regularly with the Presidents of Oregon, Washington, and Alaska as we travel to each other’s conferences. These Presidents n ot only share their insights into the Clerkdom, they also become life-long friends. We’ve shared so much together, and have truly built bonds that the workplace and our new roles will never sever. Here’s a picture of the four Presidents as we prepared for their awards banquet. The conference location, Semiahmoo, was a peaceful place, right on the water, and all the rooms looked out onto the sound, with the beach just a few steps away. Not to brag, but here’ a picture from my room. Things have been a little stressful lately, so it was a great place to take a deep breath and relax for just a day or so, while still learning from some great conference speakers. Brenda Viola was there – you might remember her from CCAC’s Conference last year – and she helped attendees “unpack” all the things that are weighing us down. That session helped me tremendously, and reminded me that a lot of what is weighing us down is of our own making. She reminded me that sometimes, you just need a good friend and a good bottle of wine and a good place to let some of the meaningless stuff go. So I tried that, and remarkably, it worked. I felt better after my Washington trip than I have felt in a long time. Which is a good thing, because immediately upon landing at the Ontario airport I had to head to Torrance where I was facilitating an Athenian Dialogue on “The Journey of Crazy Horse” by Joseph Marshall III. A big shout out to the attendees of that Dialogue, you did an amazing job with some pretty deep subjects. It was one of my favorite Athenians so far. The following week I spoke to the Municipal Management Association of Southern California (MMASC) at their Winter Forum , on the subject of “Beyond SMART – How Values Based Goal Setting Can Help You Achieve the Life of Your Dreams”. It was a great group of about 150 people, and I made some more new friends, one in particular who wants to do some collaborative work with me. Friendship seems more and more like the theme of my life these last few weeks. Later in March I worked with the Conference Committee on finalizing all of the details for this year’s CCAC conference in Anaheim – Orange County. I hope this edition of the Official Word reaches you before you head to our own little Magic Kingdom. We’re expecting IIMC President Stephanie Caruthers Kelly, so I do hope that everyone has signed up. Registration is closed, and I don’t want anyone to be disappointed. Finally this month, those of us in Southwest Riverside County have been dealing with the Poppy Apocalypse. This winter’s rains have turned into what is called a “Super Bloom” of California wildflowers, which has brought hundreds of thousands of tourists to our little slice of heaven, with their own associated traffic congestion problems. I promised myself this month’s President’s message wouldn’t be about Disaster Preparedness, but I’ve come to realize, we’ve got four seasons in Lake Elsinore where I live: Fire, Flood, Fish Kill, and Flowers. On that note, I want to close this message on the subject of friendship. Some of you might be thinking, what’s the big deal? I don’t come to work to make friends. But I have to say, friends are important. If for nothing other than serving as cheap therapy. We all need someone to talk to. Someone to listen to us. Someone we can ca ll when everything and everyone around is falling apart. But we also need friends to help us be better humans. If everything is going great for us, and we don’t take time to notice someone who is down, someone who isn’t having such a successful day, week, year, etc., then we’re failing in the human category. And if it’s someone we know and we don’t take the time, then we’re REALLY failing in the human category. Friends also call us out when we’re being ridiculous. Or stupid. Or mean. Having friends, and being a friend, make all of us better. 2nd Vice President Anthony Mejia had a great idea with our new Inclusivity Committee – look for the Yellow First Timer badges at Conference this week and introduce yourself to someone you haven’t met before. You might just find a new life-long friend. And that my friends, is Creating Magic! Congratulations - Clerk in a Box Magic! Last month I challenged Clerks in the Clerkdom to send me photographic evidence of their emergency preparedness, as they made Emergency Management Magic and quite possibly could be the one to save the day! Congratulations to Kerri Johnson of Upland, Ashton Gout of Monrovia, Leah Larrate of Chula Vista, Vicki Kasad of Ontario, and Kimberly Rodriguez of Agoura Hills. Your special prize is on the way. A Clerks Giving Back initiative to coincide with National Volunteer Week. Established in 1974, held annually in April, and sponsored by the Points of Light Foundation, National Volunteer Week celebrates Service, and the impact of volunteers in our communities. So many of our Clerks volunteer throughout the year for a myriad of organizations that help improve the lives of countless members of our communities, many of them the most vulnerable. So I know Clerks are generous, kind-hearted individuals. This year, National Volunteer Week will be April 7 – 13th, right after our Conference. To join in the spirit, I am launching a Giving Campaign during the Conference, where I’m asking Clerks to contribute items to a specific non-profit, who will be recognized at our Thursday luncheon. To assist S.A.F.E., I am asking that all conference attendees contribute an item that will help them with their mission. Donations can be anything from board games for the kids, to gas or food gift cards for families, to feminine hygiene items for women that have to flee abusive situations quickly. A complete list of suggested donations can be found here. We’ll have a special table set up at conference where we’ll display all the donations and have information about the important that S.A.F.E. is doing to help some of our most vulnerable members of the community. We are expecting about 250 people attending our conference. There is something for everyone on the list, even those flying to the conference with no room left in their suitcase (think gift cards). Won’t you join me in Creating a Little Magic for this worthwhile organization? A huge THANKS to the members for renewing or starting your membership! Your partnership will make CCAC stronger than ever! We now have 1,058 active members and darn close to hitting a new record in annual dues revenues. We still have a few lapsed memberships and I will be reaching out in the coming weeks to clean-up the rosters. As always, if you have any questions regarding membership, moved to a new city, or hired new staff – Please reach out and update your membership, we can’t stay in touch if we don’t know where you are. If you are a first timer or flying solo at the conference, be on the lookout for members of the Membership and Inclusivity Committee who will be wearing Ambassador name tags. We’d love to tell you more about how the conference works and we want to make sure that you feel welcome and have something to do after the sessions. Don’t go to your room because you’re by yourself… Go because you need a nap. The first no-cost ICMA Coaching Program live webinar "Ethics in Action -- When You Need to Say 'No' " is being held Wednesday, April 10th from 11:00 a.m. - 12:30 p.m. As a member of CCAC you can register and take this course for free. Find more Webinars spotlighting best practices on key topics from local government professionals throughout the U.S. and a library of archived video recordings and extensive presentation materials with examples from dozens of sessions available in a convenient online library--delivering you "professional development in a box"--when you want it and where you want it. CCAC Annual Conference April 2-5, 2019 at DoubleTree by Hilton Hotel Anaheim-Orange County. Click here for more information. Mentor Training (in conjunction with Annual Conference) April 2, 2019 at DoubleTree by Hilton Hotel Anaheim-Orange County. Click here for more information. May 4, 2019 at 9:00 a.m.
May 11, 2019 at 9:00 a.m. Nuts & Bolts Workshop June 6-7, 2019 at DoubleTree by Hilton Hotel Modesto. Click here for more information. The fundraising committee is happy to announce the fundraisers for the annual conference! We are once again seeking your assistance in having another successful year of fundraising for the scholarship fund! Silent Auction – Place your bids on the Silent Auction item(s) of your choice! Winners will be announced on Thursday evening. Live Auction – Join the fun and bid on the Live Auction with this year's special guest Auctioneer! What's Your Cup of Tea? – This year's spinoff of a wine pull is the Mad Hatter's Tea Party. Donations are still being accepted. Don't forget to purchasing a playing card to participate. 50/50 – We will once again be doing the 50/50 opportunity that we had last year! If you missed it, we had some lucky winners of nice jackpots! Be prepared to purchase your tickets at the conference! New this year! We are asking for donations of nice ladies or men handbags/satchels/bags/carryall/clutch for a live auction. Thank you Madam President and Madam 1st VP for being our first donors to this event! If you are willing to donate please email Susan Domen at [email protected] with a description of your item and the value. Marilyn our CCAC Store genius will be offering some magical items this year to go with our theme as well. Thank you for your consideration and donations. With your help we will be able to increase our scholarships next year! On Friday, March 22, 2019, the City of Turlock hosted a Region 3 Educational Workshop regarding the meaning, intent, and purpose behind the laws administered by City Clerks. Retired City Clerk Shalice Tilton’s session entitled, “The City Clerk Dashboard,” hit the core of what city clerks do because virtually every function of our operation originates in statutes and regulations. The City Clerk Dashboard is a reference tool for California laws and regulations, which clerks learned to master in order to change the perspective of the city clerk’s role in public policy. 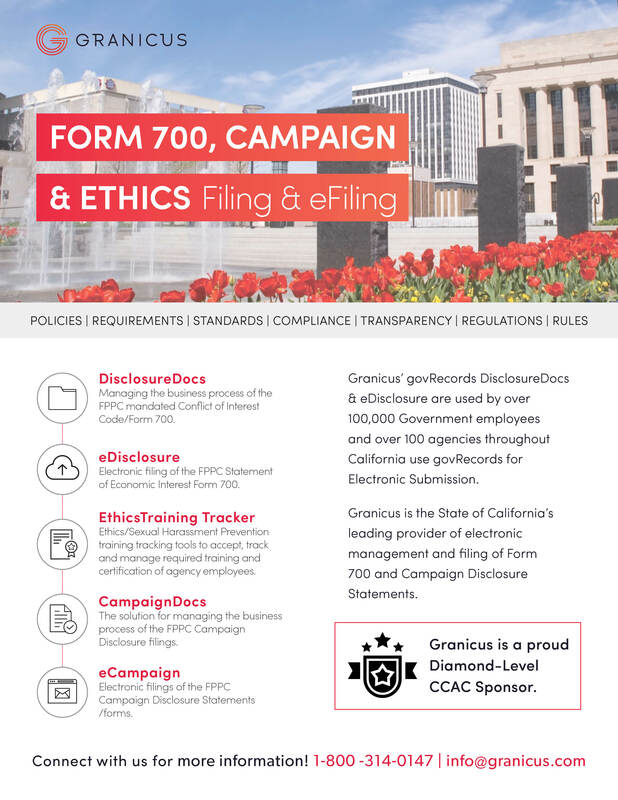 Traditionally, city clerk training has focused on dissected parts of public policy, such as the Public Records Act, the Political Reform Act, and the Brown Act. City clerks are more than technicians. By law, city clerks bear the sole responsibility of administering specific federal, state, and local statutes and regulations. Shalice examined the history, adaptation, and interconnectedness of public policy at the federal, state, and local levels and how the professional city clerk is situated into that context. This course addressed: 1) Adaptive learning by both assimilation and accommodation (Jean Piaget’s cognitive development theory) applied to city clerk responsibilities; 2) Dillon’s rule, home rule, early state history, and the structure of cities; 3) Evolution of the state constitution relevant to local government; 4) Construction of state statues, interpreting intentions, and resources for research (including hands-on exercises), and 5) Introduction and skills to master the City Clerk Dashboard (a reference tool regarding California laws and regulations). Shalice was an amazing presenter, and we were lucky to have her once again. Participants walked away with a considerable amount of knowledge, resources, and tools to better understand the laws that govern our operations. 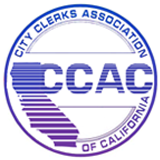 A huge “THANK YOU” to Turlock City Clerk Jennifer Land for hosting this informative workshop – there is a lot of work involved, and I appreciate that she took time out of her busy schedule to help further clerk’s education and knowledge. First of all, I am so pleased to serve as the Region 10 Director. It has been a great experience thus far with an incredible learning curve. I so appreciate the opportunity to serve. I would never presume to provide goals for the existing Board but I certainly have goals for myself: understand, listen, and learn. That is my job right now as your Region 10 Director, to serve with humility and bring my experiences and knowledge to the Board. Professionally, my goals are to always do better – and through a collaboration between my staff and city departments, develop and facilitate efficient streamlining of city business services. 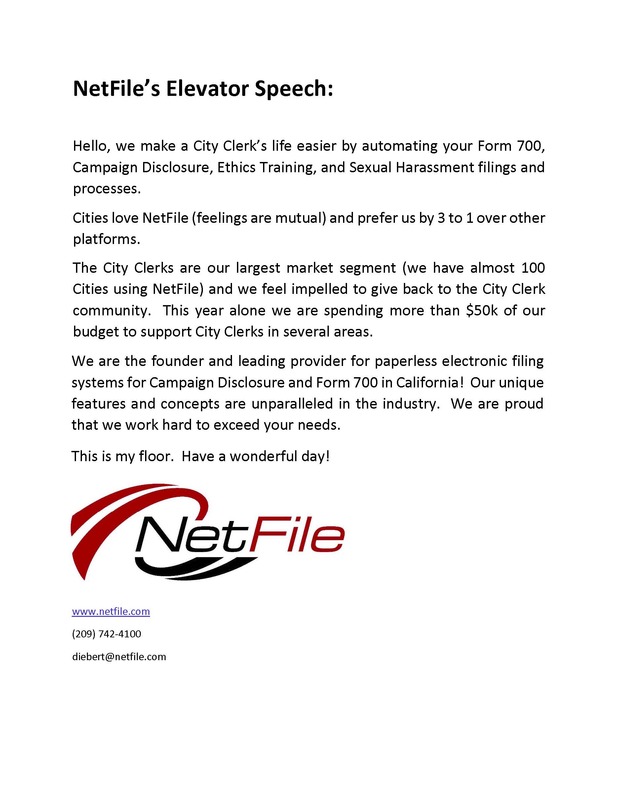 Streamlining business services can only assist a City Clerk’s Department in a variety of ways. Use technology. Do not be intimidated by what you don’t know. Automate city business functions, such as forms, to ensure “born digital” environments in your city. 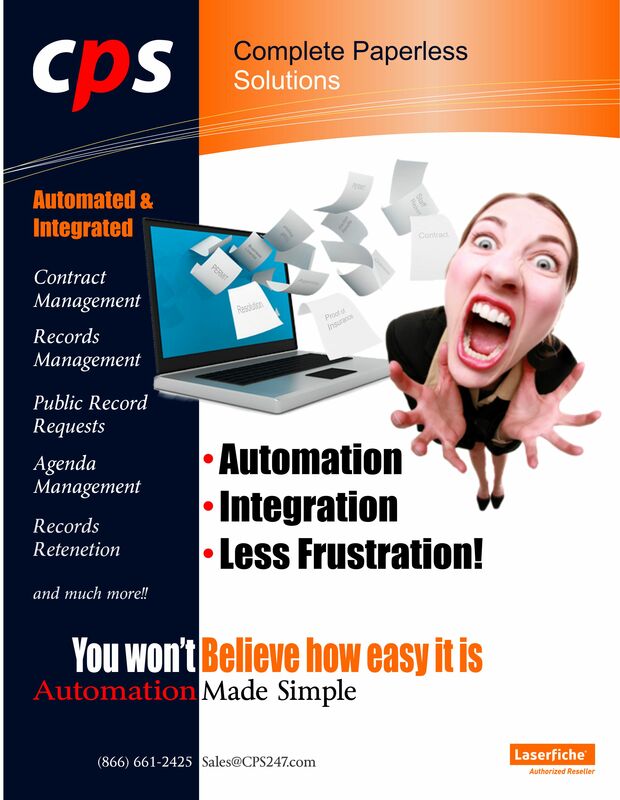 Reduce paper records and encourage workflows and integrated systems. Are you intimidated by technology? So am I – but I do know efficient service delivery can only enhance my department. Responding to public records requests, as my city has a centralized records management model, is a highly technical and laborious environment. What can you do to better manage and provide responsive records? My team is looking at the use of Artificial Intelligence to assist with large records searches. 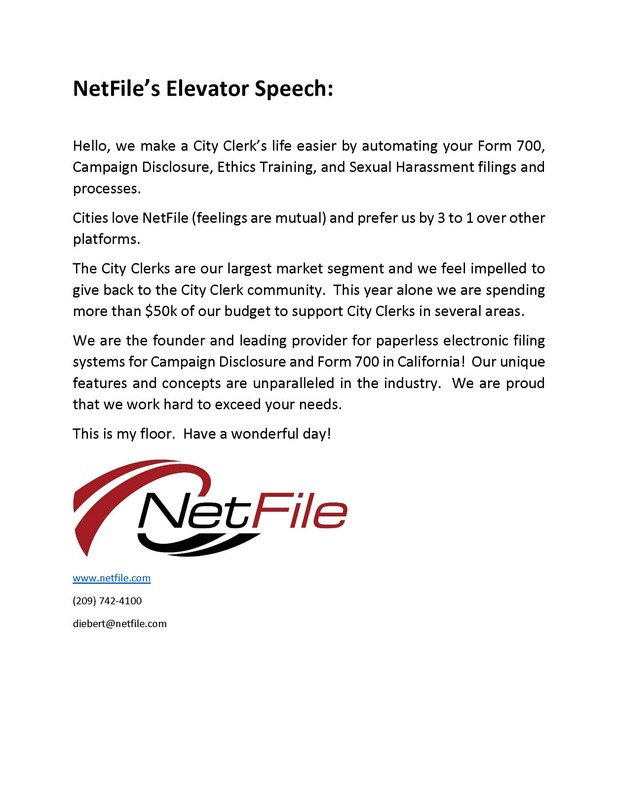 Another option is to ask your City Attorney’s Office if they have a high tech environment – if so, get ideas from them. Work with your IT staff for suggestions and have a brainstorming session with them. How can you work more efficiently? How can we better provide city services to our internal and external stakeholders? 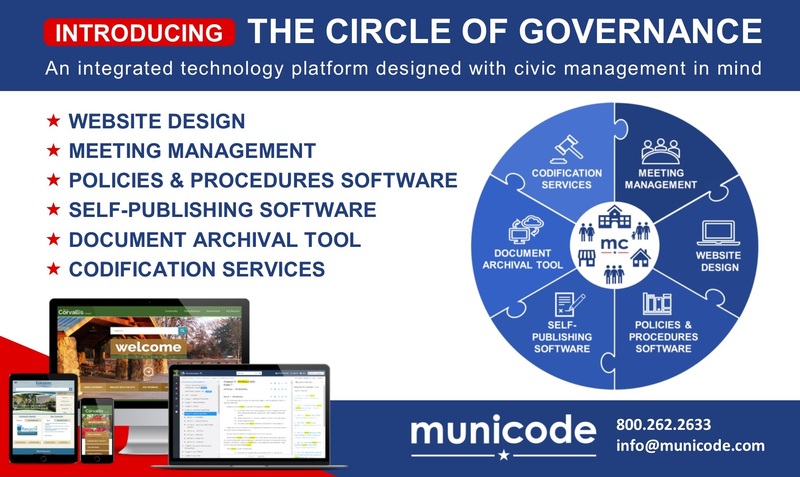 When city staff is looking at automated programs and integrations, a representative from the City Clerk’s Office should always be at the table during initial discussions because the capture of records and integrative possibilities should be at the forefront of these conversations. My goals are simple: be better. We will grow and learn from that simple philosophy. My name is Julie Drimakis, here is m y story. I have two young children who are growing up much too quickly but make life seem much brighter on a daily basis. I have over 14 years of experience working within a City Clerk’s Office. My career in local government began at the City of Tehachapi as a Deputy City Clerk. I also briefly served as the elected City Clerk for Tehachapi prior to my present position. In March of 2013 I was appointed as Assistant City Clerk for the City of Bakersfield. Presently, I am serving as City Clerk and have held that position since December 2018. Prior to serving in local government, I was a professional cake decorator for several years and started working in local government quite by accident. I will still make cakes by request for special occasions, but mostly I just make birthday cakes for my kids now. I have had the privilege to work with and be mentored by some amazing City Clerks who have fostered my love of the profession and offered me guidance and support throughout the years. Jeanette Kelley, Pam McCarthy, Nancy Lima and Irma Torrez just to name a few. My proudest achievements have been implementing technology improvement projects to increase efficiency through innovative ideas such as electronic agenda and meeting management systems, and electronic records request management systems. In 2014 after only a year with the City of Bakersfield I received the City of Bakersfield Excellence in Action Award in recognition of superior job performance in support of the city and department goals. I am very involved in the community and serve on the Bakersfield Foundation which is a non-profit organization that provides funding for the Keep Bakersfield Beautiful Committee community clean-up events. I also volunteer at fundraising events for Bakersfield M.A.R.E. which is a non-profit that provides equine-assisted therapies and activities for people living with special needs and disabilities. I am also a fitness instructor specializing cardio programs and in formats geared towards the older population or individuals with injuries. I currently teach three classes a week. One of my favorite things to do is travel and I go on at least one big trip each year. One of my most recent trips was to Ireland which I had wanted to visit for many years. I am the City Clerk for the City of Fresno. I have been working in this capacity since January 2012. When I first arrived in Fresno I noticed that the posting board was just a large bulletin board with large paper clips holding together pages of agendas for various meetings. The bulletin board was not secured so anyone could walk up and take the posting with them which they often did. I immediately thought “Brown Act” violation. I spoke to the City Manager’s Office about it and they offered to purchase a new three sided bulletin board that had a glass covered that locked and also came with lighting so it could still be read in the evening. This new posting board was installed by facilities and we immediately began to use it. Later on the City Clerk’s Office was designated to be the centralized place for posting agendas, not only for the City Council, but also any board or commission (we have approximately 25), and any public notices and public hearings. As you can imagine, the Clerk’s staff was constantly going outside (in the summer heat and winter cold) to post these documents. The posting board also had to be managed by taking old postings down to make space for the new postings. This also required a lot of staff time. During budget talks last year, I met with the Information Services Director to discuss wants and needs of the City Clerk’s Office. I relayed to the Director that my staff spends a lot of time outside managing and posting paper on the bulletin board. I told the Director what my dream and wishes were. I did not know how to make it happen, but I knew what I wanted. I wanted a way to post agendas without managing paper. After about nine months, the Information Services Department showed me a prototype of the new kiosk for agenda postings. When other departments heard about the kiosk, they came up with ways that their department could benefit from the kiosk. The Information Services Department was able to incorporate the City’s meeting agendas and minutes, notices and publications, job postings for Personnel, local City of Fresno apps, a map of downtown, news releases, our bus locations, and our website all from a touch screen kiosk that is right outside the front of City Hall. As you can imagine I am so happy that the Clerk’s staff no longer has to manage paper to comply with the Brown Act. We use the Legistar software to manage our agendas and when an agenda is pushed out to Legistar, it automatically shows up on the kiosk. We manage our notices and publications on our website so once we post to the web it automatically appears on the kiosk. In addition to the public having access to our meeting agendas 24 hours a day, there is also a wealth of information available on the kiosk. My wishes have come true, even better than I imagined. Most of all the City Clerk’s Office is saving hours of staff time by taking the paper out of posting agendas, notices, and public hearings. If you would like more information about this project, feel free to contact me at [email protected].